We are having some great tuna fishing offshore right now. Our customers caught these fish on one of our charter boats aboard the fin galley. To book an Outer Banks fishing charter give us a call (252)261-8589, or drop in the store. We have plenty of availability for the 2019 season on all our fishing trips, offshore, nearshore half days, and sportsman half days. 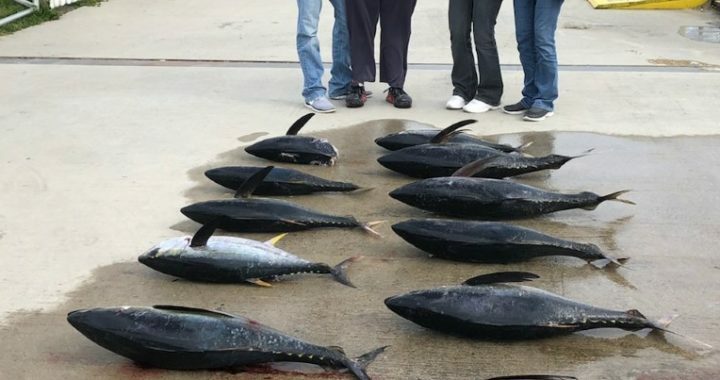 Posted in Fishing Report 2019, Uncategorized and tagged nearshore, offshore, Outer Banks fishing charter, sportsman fishing charter.